SOLANA BEACH, Calif. (Sept. 12, 2018) – ElliptiGO Inc., the pioneer and world leader in stand up cycling, announced today that 25,000 of their bikes are now on the road. Customers all over the globe have embraced the new cycling category the company created with the launch of the world’s first elliptical bicycle in 2010 and, most recently, the world’s first stand up bike (SUB.) ElliptiGO has brought their technology to athletes and fitness enthusiasts alike, both domestically and internationally, through close to 300 U.S. dealers and partners in 33 countries abroad. In addition, 250 university and high school sports programs have integrated their bikes into their training. The 25,000th bike was purchased by Shannon Kievman, a runner and a mother of four from Manchester, Conn. Kievman was recently diagnosed with arthritis in both of her feet and sought out a way to keep working towards her running goals while reducing impact. Kievman is using her ElliptiGO 8C to train for the Hartford Half Marathon next month. ElliptiGO’s line of bicycles spans three product families, with a total of seven bikes for customers to choose from. 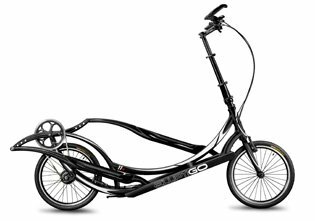 The long stride, compact stride and the stand up bike (SUB) each offer a distinctive riding experience, but the benefits of stand up cycling can be found in all models.